Here’s a soup that you can serve any season of the year. Its quick to assemble, takes only 15 minutes to simmer atop the stove, and is light yet totally satisfying. (Buying packaged broccoli florets rather than slicing them from broccoli crowns saves even more time.) A hint of cayenne pepper adds a bit of heat, but it is the crème fraîche scented with curry powder that is the secret to this dish’s vibrant flavor. Some of the cream is swirled into the puréed soup, while the rest is used as a garnish. For an interesting fall or winter salad try this combination of tender red oak leaf lettuce and tart frisée, paired with thinly sliced apple, fennel and red onion. A simple dressing prepared with honey, cider vinegar, mustard, and oil adds both sweet and tart notes. Because it has plenty of assertive flavors, I always pair this salad with big, bold soups such as New Orleans Red Beans and Rice Soup or the “Midnight in Paris” Onion Soup Gratiné. Market Note: Curly endive is a variety of chicory, which is also sold under the French name "frisée." Frisée has small, pale green lacy leaves and a slightly tart taste. It is milder than other chicories. Cooking tip: To toast walnuts, spread nuts on a rimmed baking sheet and place in a preheated 350 degree F oven. Bake until slightly browned and fragrant, 6 to 8 minutes. Watch carefully so they do not burn. Cool, then coarsely chop the nuts. These oatmeal cookies are thin and crisp, closely resembling those ethereally light French cookies known as tuiles. Sliced almonds and grated orange zest add extra layers of flavor to the oatmeal batter. A recipe yields about five dozen, but be forewarned—these cookies are addictive. I’ve seen a handful of guests polish off an entire batch at one sitting! 1. Arrange a rack in the center position and preheat oven to 325 F. Line two large baking sheets with parchment paper. 2. In a medium bowl, stir together the oats, almonds, sugar, flour, salt, and baking powder. In another bowl, whisk the egg, vanilla, and almond extract until blended. Add the egg mixture to the oatmeal mixture, and stir until mixed well. Add the butter and orange zest, stirring until combined. 4. Remove the baking sheet from the oven, and slide the parchment with the cookies onto a kitchen counter. Let cool about 3 to 4 minutes until you can use a spatula to lift them (or peel them) from the parchment. Transfer the cookies to a rack to firm and cool completely, about 5 minutes. Cooking tip: Spread almonds on a rimmed baking sheet and roast in a preheated 350 degree oven until lightly browned, 6 to 8 minutes. Watch carefully so nuts do not burn. Remove and cool. 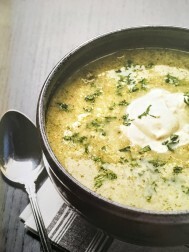 This entry was posted in Food News and tagged broccoli soup, Oakleaf Salad, Oatmeal Thins, oatmeal thins with orange, Soup Nights, Soup Nights book by brosbottom. Bookmark the permalink. Congrats, Betty! Can’t wait to get my copy and dig in! Thanks so much, Brenda! I love the photos in the book and hope you will too!! Miss seeing you! Congrats on your new book! I have one on order and have all your others since attending La Belle Pomme as a new graduate and inexperienced cook after college. You’ve taught me so much, thank you! Thanks so much for such a lovely note. I’m so glad you’ll be adding Soup Nights to your collection! Congratulations on the new cookbook! 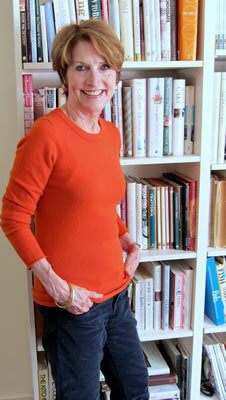 I placed my order today, adding to my collection of all your cookbooks. They are the ones I reach for most often when menu planning and especially when I am entertaining. Thanks for really helping me to become a better cook and enjoying the whole process. Thanks, Nancy, for such a lovely note. 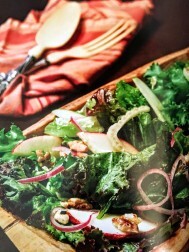 Nothing makes me happier than to hear that cooks are using my cookbooks! 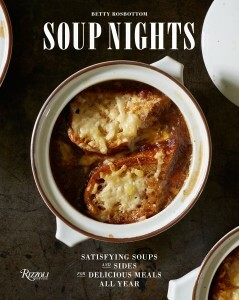 Hope you’ll enjoy all the recipes in Soup Nights!! I’m a huge fan of your previous soup book Sunday Soup. Are these all new soup recipes to try out? Thanks so much for your note. So happy you’ve enjoyed Sunday Soup. Yes to your question! Soup Nights features all new soup recipes and many new sides, including salads, sandwiches, and desserts. 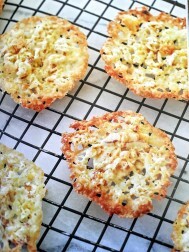 Hope you’ll get a chance to try some of the recipes on the blog yesterday. There will be a few more to come from Soup Nights in the weeks ahead so you can get a taste (pun intended!) of the book! Betty, Congratulations on your new book. I cannot wait to prepare and devour every recipe. Only you can combine just the perfect combination of comfort and elegance into glorious recipes. Your books are so beautifully written with every detail covered for cooks of any level. Thanks for making my holiday gift giving so easy again this year!! My family loves your books. Best Wishes and Joy! Barb, Thanks for such a wonderful message I can’t wait to show you a copy and hope you’ll be up here soon! Please call soon so we can make a plan for lunch!